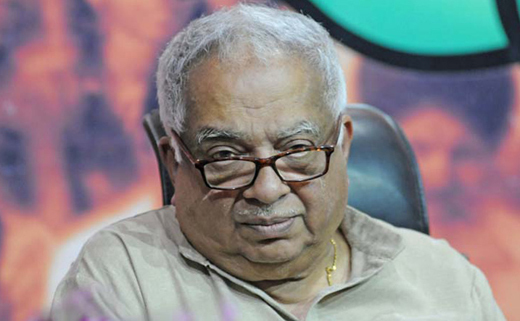 Manipal, April 17, 2018: Veteran journalist T V R Shenoy passed away here on Tuesday. He was 77. He breathed his last at a hospital here around 7.30 pm. A former editor of The Week, Shenoy had also served as Manorama’s Delhi bureau chief for a long time. Having started his journalistic career with The Indian Express, he became the editor of Sunday Mail later. He had been an eminent columnist who contributed to several national and international media houses. He used to write on topics such as national politics, economy, social issues and international affairs. He was awarded the Padma Bhushan in 2003. He was a native of Cherayi in Ernakulam. He is survived by wife Sarojam and children Sujatha and Ajith.